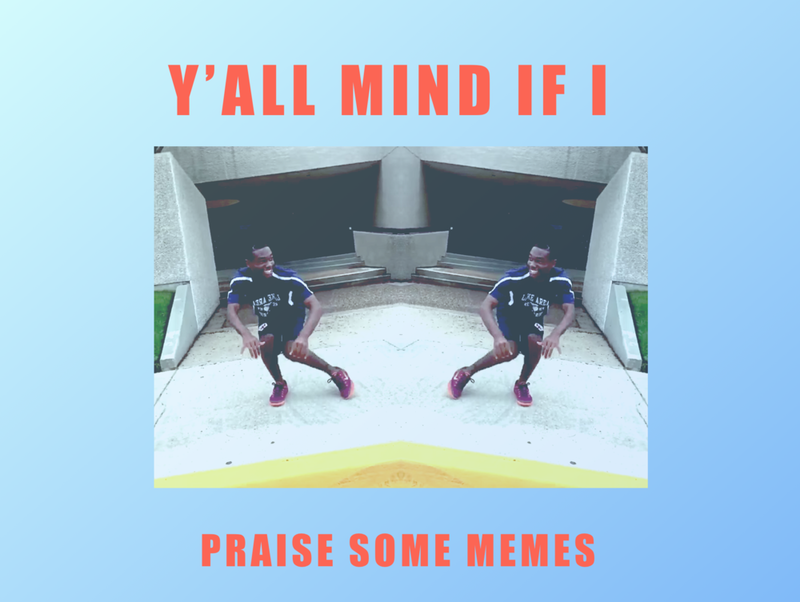 Y'ALL MIND IF I PRAISE MEMES? 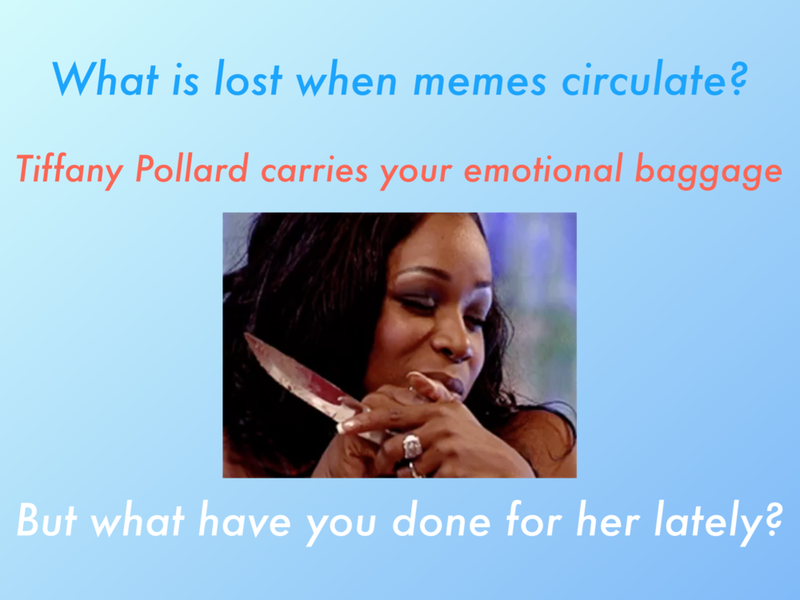 Y'ALL MIND IF I PRAISE MEMES? was a presentation given as part of Rhizome's Forum on Ethics and Archiving the Web at the New Museum. Through the presentation, I explored the challenges of archiving a fast evolving online digital vocabulary and the considerations an ethical archive should make including looking to artists, web users, and informal archivists for direction. 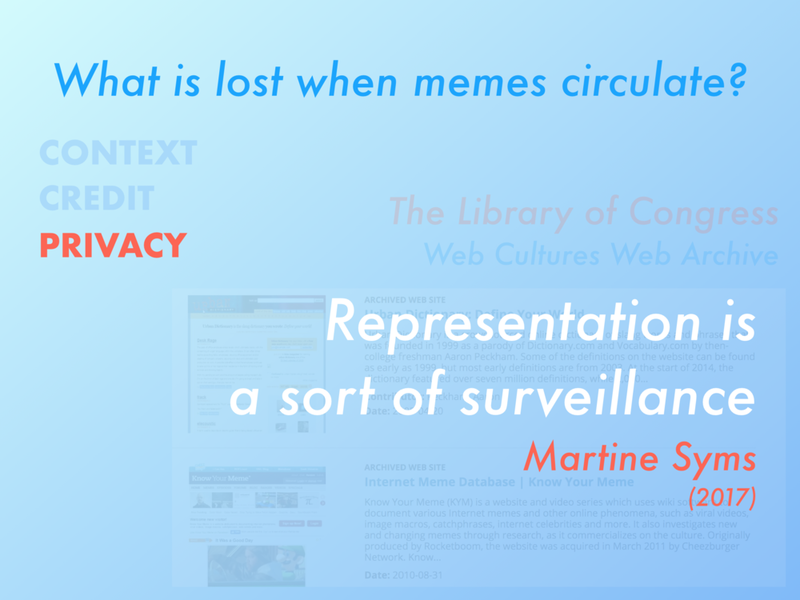 With attribution at the core of the challenge in archiving memes, the presentation also considered modifications to social web platforms that can support a culture of credit. if you'd like access to the full presentation, please get in touch! The Meme Gallery was an exhibit I was commissioned to create as part of the Real Future Fair at the Oakland Museum of California. 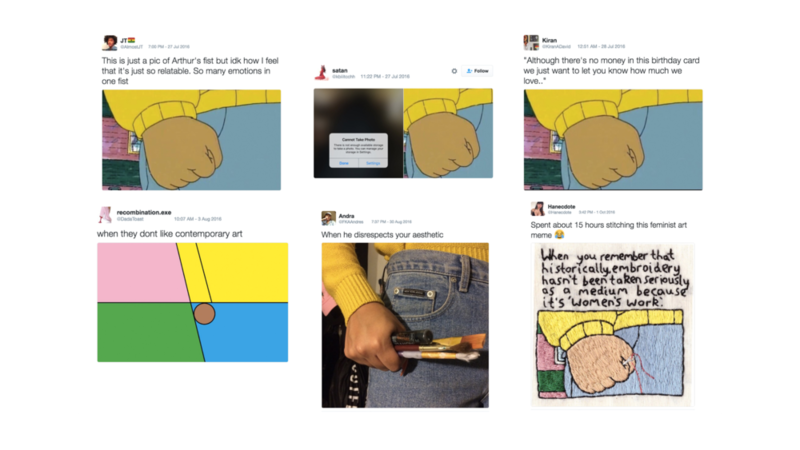 It featured original and repurposed works that illustrate the artful ingenuity of memes in the context of artful cultural products. Presented offline and in the static setting of a museum, these works were accompanied by cards detailing the context from which they were removed and credit to the names of their creators. The 2016 Afrofuturism conference was held at The New School in New York under the theme #blackisviral. I created the conference's leading statement (below) and produced a panel that explored the resonance and exploitation of black creativity online. SEEN II is a photo magazine accompanying a photography exhibit by the same name produced by Oakland-based forum Flavourhood. SEEN II, in both print and gallery form, served as bright platforms for the the work of eleven photographers, each with a style their own. Using juxtaposition, color, and text, I, along with graphic designer Japheth Gonzalez, presented and complicated the story told by still images in a moving world.